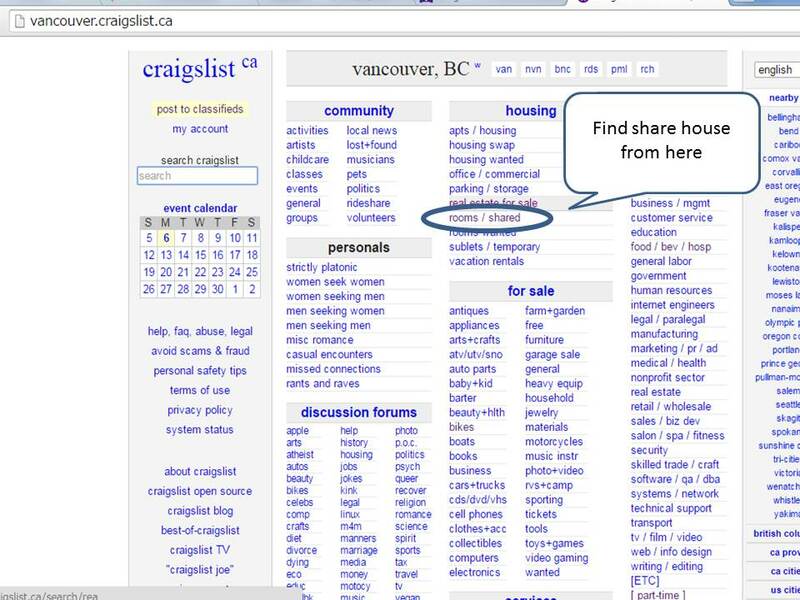 I’m interested in seeing the room you have advertised on Craigslist. 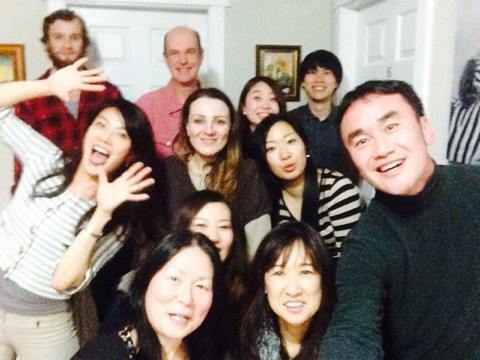 I’m a Japanese female /male looking for a nice place to live. May I come over on Tuesday to see the room? Step 1. 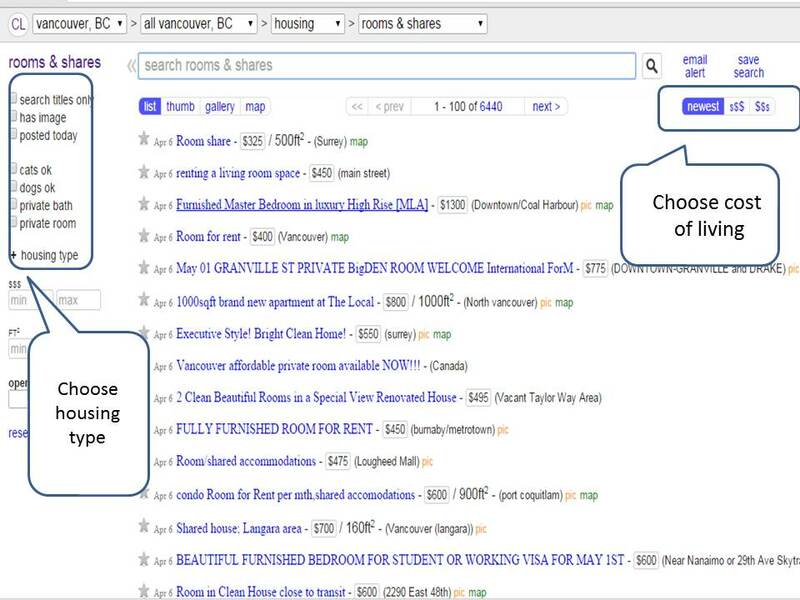 Use search engines like google, yahoo or baidu to look for share houses in Vancouver. 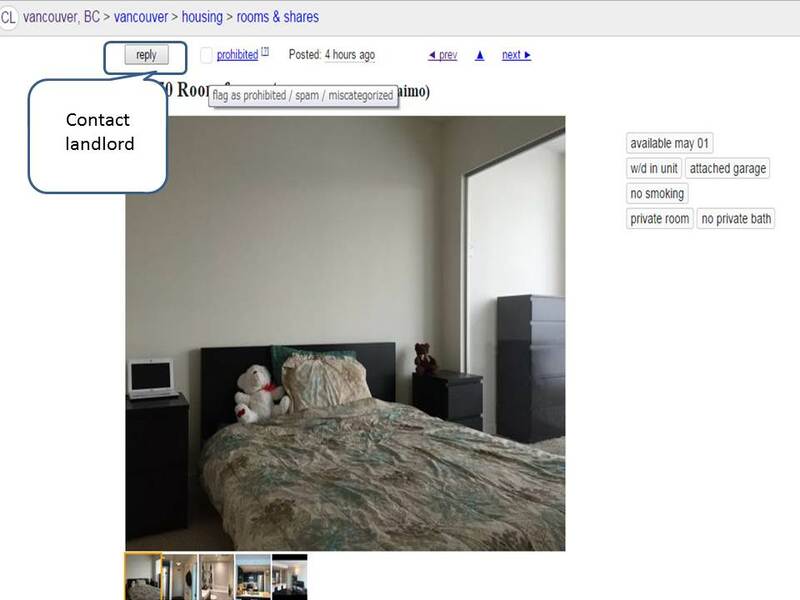 In Canada its ok to email, or contact the landlord directly. Very often the owner of the house (not an agency) will rent their room to you. Just go and look! Be careful if you go alone at night. Step 4. Pay Deposit if you like the room. In Canada you do NOT have to pay for a “take over fee,” or more than half a months deposit. Be careful of people preying on international students. Enjoy your share house life !